Imagine being all excited about growing new flowers or some exotic looking plants in your garden only to see them growing weak or not growing at all. You can water and nourish your plants as much as you want but if the soil in which they rest is not in the perfect condition then no amount of nurturing will fix things. So how do you find out if your soil is healthy? You test it with a soil ph tester. Some soils are just too acidic for certain types of plants to grow while some may be too basic. To make sure you are planting the right seeds and also to find out what kind of fertilizer the soil needs, you must get a pH tester. This little device does an excellent job of detecting the amount of acid or alkaline in the soil and can give you the most reliable results possible. We have put together a list of some Soil pH testers and also a guide for you so that you can now fix up the soil and grow that beautiful garden you have always dreamt of. How to Test the pH Level of Soil? The MS02 model is a 3-in-1 tool designed to test the pH, moisture and light level of your soil. You can use this tester indoors as well as for your garden outside. 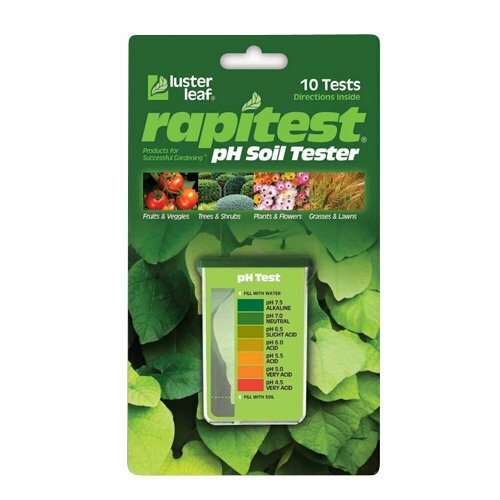 We like this tester as it does more than just test the pH level because alone with the pH level, you will also need to know how dry or moist your soil is and if gets the appropriate amount of sunlight or not. All these factors contribute to healthy soil and the better growth of your plants. The tool comes with a double needle for accurate reading and also speeds up the process during the analysis. 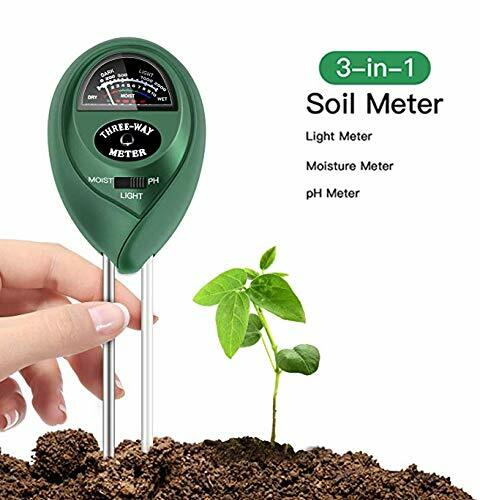 It is very easy to use this tester because it only requires you to switch to the required mode (pH, moisture or light), insert the probe 2-4 inches into the soil and check the reading after 10 minutes. You may need to adjust the position of the probe slightly until you notice a movement in the pointer of the dial display. Sometimes it is not only the pH level that needs testing to figure out what your soil needs and that is why we love the 3-1 testers which also read the soil’s moisture and light. This tester by Covery does all three and pretty accurately for that matter. You get a scale of 3.5 to 8 on this tool to test the pH level where you know that anything between 3.5 to 6.5 is acidic and 7 to 8 reads as alkaline. You will not need batteries to operate this tester so you do not have to worry about extra expense or the hassle of recharging the tool. It is also very easy to use and can be used for both indoor plants and garden soil. It is not very small in size so some customers found maneuvering on indoor plants a little difficult. The soil tester by Gain Express is designed to test the pH level and moisture in your soil for the best gardening and farming experience. 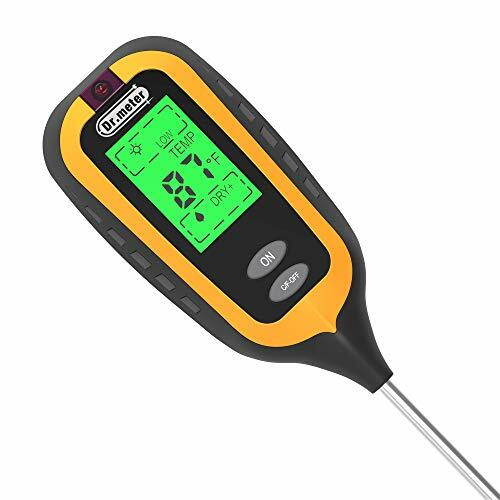 It comes with a single waterproof electrode measuring at 295mm long that only needs to be plugged inside the soil for quick and accurate reading. This tool can be used in the agriculture field or for educational experiments so even schools can use this for their students to learn more about the health of the soil. It requires no batteries or power to run, eliminating the need to recharge the tool and enabling use anytime and anywhere. A reported case of the glass display fogging due to moisture thus making the reading difficult. The Luster Leaf 1612 Rapitest tests the pH of the soil using the capsule system and patented color comparator, a little like the good old litmus paper. It includes everything from the test container to the inserts and a color chart for up to 10 tests. The kit allows you to test the pH, Phosphorus, Potash, and Nitrogen in the soil with the included capsules, after which you can easily order extra capsules from the sellers. It is ideal and recommended for home use and both beginners and experts can use it to detect and find out more about the soil they are working with. You can even check the preference list that comes with recommendations for over 400 plants to get the best results. For a reliable and easy way to find out exactly what your soil needs, you can get yourself the soil tester by Marge Plus. 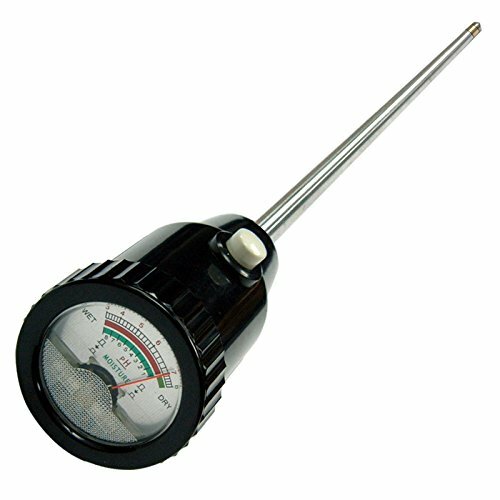 This is a 3-in-1 tester that can be used to check out the pH level, moisture and the amount of light your soil gets. By testing the pH level of the soil you can avoid using the wrong chemicals and fertilizers and give your soil exactly what it needs to be its healthy best. The amount of moisture in your soil can also be tested this way so you know when you need to water your soil. If your soil does not get enough light then it may not be suitable for certain kinds of plants. All these factors need to be looked at and this tool will give you all the readings in one single display. Just select the right mode and insert the probe (there are two aluminum and copper needles) into the soil for easy reading. Needs no batteries. This is a 3-in-1 tester that you can use to test the pH level, light, and moisture of the soil. The double needle design means the readings will be more accurate and you will get faster results, helping you choose the correct fertilizer and providing your soil with all that it needs to be in its best condition. Testing the soil for the pH level with this tester will also allow you to choose the correct kind of plants to grow and tell you what seeds to stay away from. No batteries are needed here so it is a very economical and easy way to get results. 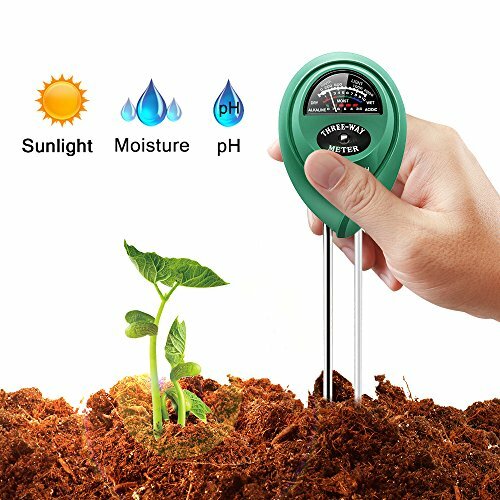 Take the help of this 3-in-1 soil tester to determine exactly how much moisture your soil has, how much sunlight penetrates through and what its pH level is. With an easy switch located on the tool, you can change the setting to select whichever test you wish to take. The portable tool is black in color and has an easy to read display with a dial and clear readings. You will not need any batteries on this tester so you can carry and use it anytime and anywhere. Once you follow the instructions well and insert the probe correctly into the soil, you will be able to get the results within minutes. Remember to keep the probe clean by wiping off any dirt after use. This tool is ideal for home use and also for all your gardening, lawn and farm requirements. The Jellas 3-in-1 soil ph tester is another great item on our list and we think it’s a wise idea to invest in 3-in-1 testers if you wish to know all about the current condition of your soil. 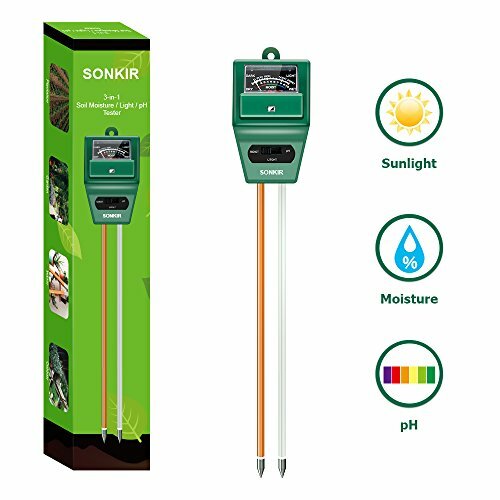 With this tool, you will be able to know if the soils you are using for your indoor plants or in the garden get the right amount of sunlight and if its pH level is right for the kind of plants you are hoping to grow. The tool can also tell you whether you need to water the soil or if it already has too much moisture. Because the tool needs no batteries to operate, it comes in handy at any given point when you wish to dedicate some time to your garden or farm even. The readings are clearly displayed and you will be able to get the accurate results after you insert and leave the probes in the soil at least for some minutes. The double needle design gives you a better chance of getting the correct results and that too in a very short time. If you really want to know more before purchasing a soil tester to test the pH level of the soil you are planning to work with or already have in your garden then the following contents are going to make things easier for you. But before we get to the factors which need to be considered, we will explain to you why you need to test your soil for its pH level. So, why do we need to test the soil and how does a soil pH tester help? First of all, if you remember we learned all about the pH level of water in school during chemistry classes and maybe if we weren’t all interested in gardening or agriculture, we wouldn’t really bother much with all that information. But yes, after all those years we are back to that topic because we chose to invest some time in gardening or farming or even in keeping indoor plants at home. See, just like water, soil has its own pH level and it plays a very crucial role in the health of your plants. Elements like calcium in the soil can make the soil quite basic (meaning it will have a higher pH level) while too much of phosphorus can make the soil acidic. If the soil is too acidic it can be harmful to the plants and even prevent growth to some extent, whereas the soil is too alkaline can also be bad for the plants. To test these levels you will need testers because you cannot determine anything by seeing or feeling the soil. Even the dust from miter saw can make a difference ir soil’s ph. There are mainly 3 types of testers that could test the pH of the soil: electronic tester, pH strips and dyes with colors. The best option or should we say the most convenient kind of tester is the electronic tool because it gives you precise and accurate readings when compared to the strips and dyes. The strips follow next, with the colored dyes being the least accurate. If you going to buy an electronic tester then it will have a display with a dial inside and some markings that will read the different levels of pH in the soil, you need to make sure that the markings are clear and easy to understand. A small and compact sized tool will work best for those who wish to use the tester for their indoor plants and small plant tubs. However, small size does not mean that the tester should be too fragile or not sturdy enough to be used on the farm or in a big garden. Electronic testers have probes or rods which need to be inserted in the soil for the tester machine to detect the pH level properly. The machine itself must be well built but even then the probes need to be strong and very sturdy. Usually, customers complain that the machine worked fine but the probes got damaged or broke as they tried to push it in the soil. Of course ,you should not try to force it in if you see that the soil is too hard or rocky, but the machine should also feel durable and well constructed either way. This is very important because the probes that will go in the soil might rust as soil has moisture. It isn’t advisable to keep the probes inside for longer than 10 to 15 minutes but if the probes aren’t built well, they may start to show signs of corrosion even before that. Most of the soil ph testers that we have reviewed for you are 3-in-1 tools where you can also test your soil’s moisture and sunlight level. This is more like a complete package because along with pH level you must also find out if the soil has enough moisture and gets the right amount of sunlight for the plants to grow well. When you know the level of moisture in the soil you can tell when or if the soil needs to be watered. Dry soil isn’t healthy for plants and can cause plants to wilt or just die. Among the basic things needed for a seed to generate or a plant to grow healthy, is sunlight. If the soil does not let enough sunlight to penetrate through then germination might not happen in the right manner. Keep in mind that not all plants need sunlight to germinate but the majority of them do so if you are working with the common kind of seeds and plants, sunlight is very much required. In short, to test the overall health of the soil, you will need to test more than just its pH level. And getting a tester that tests two or more things on the list saves you the hassle and extra cost of buying separate testers for each test. 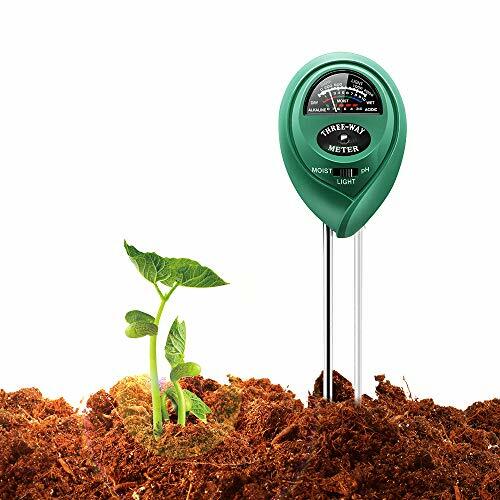 No matter how high grade your soil pH tester is, it will sooner or later fail but you can prolong its life with proper care and maintenance. The testers usually come with manuals that tell you how to take care of the device but some general rules include wiping the probe immediately after use, not leaving the probe in the soil for long and keeping it away from harmful substances. Depending on the model, the probes may need replacements so keep a check on that. The best pH range for most plants is from 5.5 to 7.0. However, some plants are adaptable and grow just fine at a level outside this range. In this article, you will find out how to test the pH level of soil and what can you do if the level is not as desired. It is the DIY era. Almost everything can be done at home without calling a professional or using special tools. To test the pH level of soil yourself, just add half cup of vinegar to it. If it bubbles with a hissing sound, it proves you have alkaline soil with a pH between 7 and 8. If it doesn’t bubble, add distilled water to another patch of soil until it is grubby and add half a cup of baking soda. If it now bubbles, you have acidic soil with a pH between 5 and 6. No reaction of soil in both experiments means it is neutral with a pH level of 7. For this purpose, you need to make a 2” deep hole in the soil. Fill this hole with distilled water until the hole is muddy and put in a clean test probe. Take it out after 1 minute to see the reading. If the reading is 7, it indicates neutral soil. A reading greater than 7 indicates basic soil, and a reading lower than 7 indicates acidic soil. However, you cannot rely on a single test. Repeat the test several times at different spots and take the average to determine the final pH level. For this purpose, you need to get a litmus paper. Mix around 3 tablespoons of soil with distilled water, dip the reading end of the litmus paper in the muddy soil mixture for about 30 seconds, take it out, and clean the dirt with distilled water. Compare the color of the paper with the color codes on the test kit to find out the pH level of the soil. Remember to choose the closest color from the kit if it does not exactly match any. What Can Be Done If the Soil Is Alkaline? If your garden soil is alkaline in nature, there are two ways to fix it. Either use the plants that are not affected by the alkalinity of the soil, or decrease the pH level. For the latter, you need to add a cup of organic material like peat moss or decayed leaves. Then, retest the soil to find out its new pH. If you get a decreased pH level but it’s still higher than what you want, you can keep adding the organic matter. Can these testers be used to check the Ph level of water or other solutions? No, we do not recommend using any of these testers for any other use except for testing soil. Even if it is possible you are advised not to. How often should I adjust the meter? You should regulate or adjust the meter after every use so that your next readings are accurate. Why do I have to leave the probe in the soil for 10 minutes? The time will depend on the particular tester but in general most electronic testers with probes need to be left in the soil for around 10 minutes to give it time to detect and analyze the soil. If you pull out the probe or read the markings too fast then you might risk not giving the machine enough time to collect the right results. What is the pH range on these testers? Usually the electronic testers read from 3.5 to 8 for pH level. The 3-in-1’s that also test moisture and sunlight have a dial reading of 1 to 10 for moisture and 0 to 2000 lux for sunlight. How far deep should I stick the probes in the soil? You will be asked to push the probe in anywhere between 2 to 4 inches. This is the standard depth for the electronic testers mentioned in this list. It might vary from model to model. If you are keen on fixing up your soil to grow beautiful flowers or plants or maybe you love farming and want to grow fresh vegetables, then you must definitely have a tester around to check the quality of the ground you will be working on. These items are pretty affordable and carry more value than their price in terms of usage and necessity. If you are planning to raise plants in your home garden or big fields, the first thing you ought to do is check the soil’s pH level through any of the methods described above. In case you are not lucky enough to get acidic soil, you can push luck your way by putting organic matter into it. Otherwise, you can grow plants that do not necessarily require acidic soil to grow.